While the Marvel Cinematic Universe is still a box office powerhouse year after year, as Tye Sheridan noted, one criticism that’s been directed towards that particular superhero franchise is that its movies feel too similar to one another. That’s not something that X-Men: Dark Phoenix wanted to suffer from, hence why Simon Kinberg (who is making his directorial debut after years of writing and producing) and the other creative talents are making sure that Dark Phoenix is framed in a more dramatic lens, as Sheridan told Collider. Given that there will still be mutants running about using their special abilities, it will be interesting to see just what steps Dark Phoenix has taken to feel like a “grounded drama,” as the earlier X-Men movies certainly had their fair share of dramatic moments. Of course, it would be foolish not to point out that one way in which X-Men: Dark Phoenix will feel similar to an earlier X-Men movie is the fact that it’s adapting The Dark Phoenix Saga. 2006’s X-Men: The Last Stand already did that, and the end result was not received well critically. This time around, Dark Phoenix will be following the source material more closely, although it won’t be quite as “intergalactic” as the original story. Nevertheless, with Sophie Turner’s Jean Grey losing control of her Phoenix abilities and her X-Men teammates desperately trying to stop her from wreaking havoc on Earth, you can bet that’s going to be emotionally exhausting for all involved, and some will even die in the process. X-Men: Dark Phoenix was originally supposed to be released on November 2, but last week it was pushed back to February 14, 2019, reportedly due to scheduling involving the reshoots. 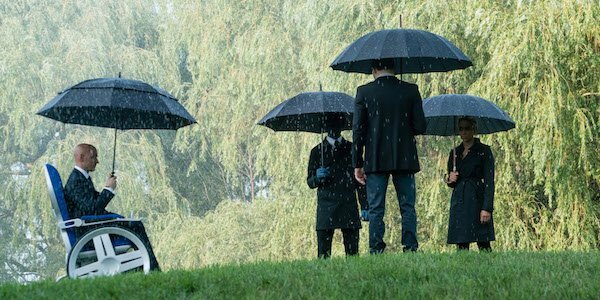 Keep checking back with CinemaBlend for more updates on the movie’s progress, and check out our X-Men movies guide to learn what else this franchise has in development.